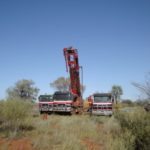 TNG is advancing its Mount Peake vanadium-titanium-iron project in the Northern Territory towards a final investment decision after securing $US600 million ($850 million) of debt financing last year. The company is now close to finalising its two remaining milestone permits for the Mount Peake project. 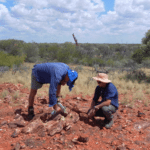 These include the final environmental and permitting processes for both its mine site and proposed Tivan downstream processing plant facility in Darwin, which are scheduled for submission in the June quarter of 2019. Mount Peake’s front-end engineering and design (FEED) study meanwhile is still underway, with TNG working on further optimisation of its processing plant and delivering an energy supply strategy for the mine site and concentrator. “While there’s no doubt it has been a lengthy and somewhat arduous approvals process for TNG, we are making strong and consistent progress,” TNG said in a shareholder newsletter. 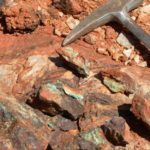 “Over the past 12 months, the company has completed permitting for the Mount Peake mine site, signed the Native Title Agreement and secured the Mount Peake mining and ancillary leases. The environmental impact statement (EIS) for the Darwin facility concerns a 150-acre land that has been allocated to TNG as a possible location for the Tivan processing plant. Tivan is a hydro-extraction process TNG has designed with German metallurgical plant supplier and development partner, SMS Group, to produce very high-purity vanadium pentoxide, titanium dioxide and iron oxide. “We are working closely and collaboratively with the relevant government agencies, and we are very pleased with how the approvals process is progressing,” TNG concluded.